I’m excited to let you know that over the Summer of 2018 to 2019 there is an exhibition of the works I have been painting recently. Over the course of five months, I have been painting intuitively. 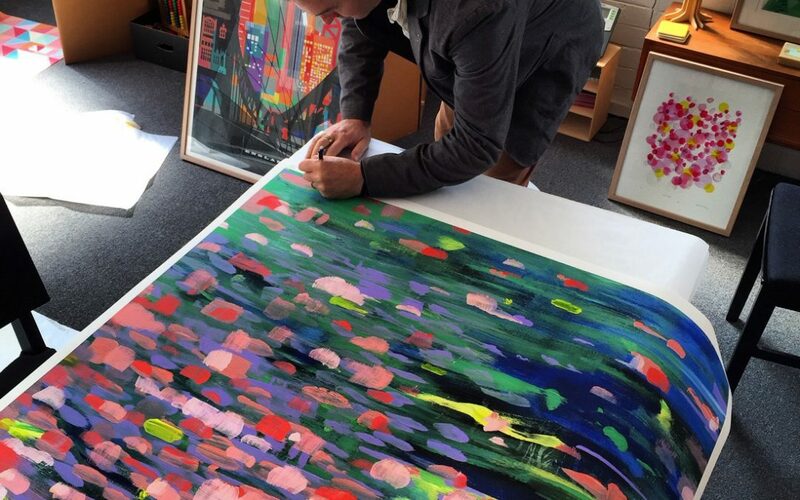 The sizes of the artworks range between 30 x 40cm up to the largest size which is 1.5m x 1m. 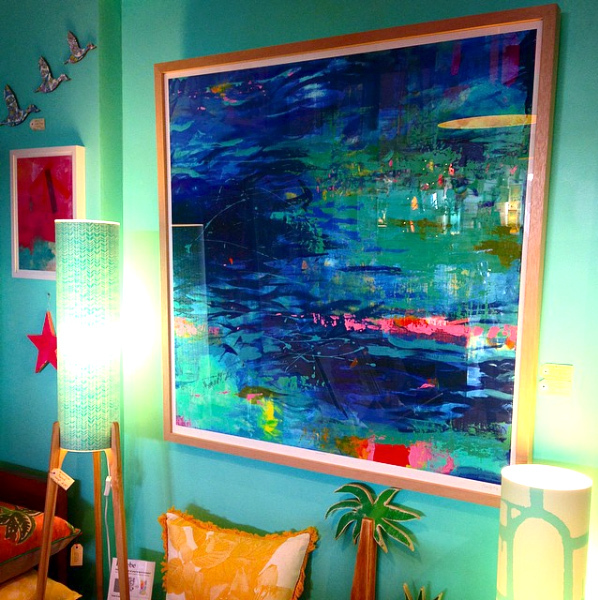 There are a number of large paintings and a wide variety of sizes in-between to suit all budgets. 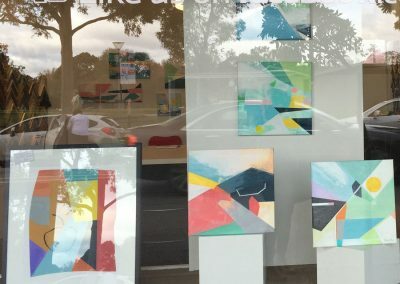 Many of the paintings have already been framed locally in Adelaide. I am offering poster prints of the original paintings at different sizes. Customers at The Barn can request an info sheet directly at reception. It’s like a menu of the poster offerings. Sizes go from medium size to extra large poster sizes. Posters are then made based on the order and are posted in a solid postal tube. Starts 20 Dec 2018 for 3 months. Subscribe to my email newsletter for new releases and special offers. 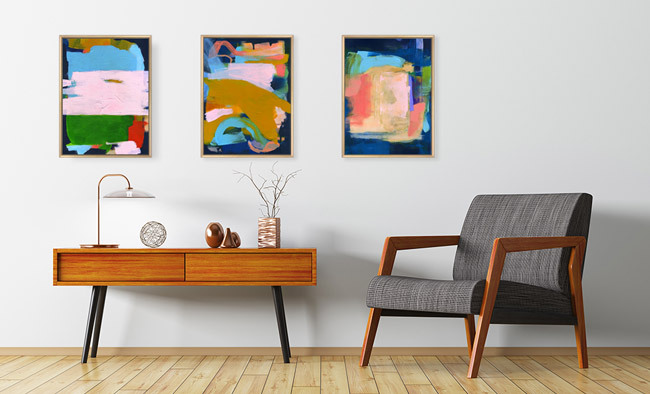 The Relaxual Series is a new range of Abstract original art. The original sizes are relatively small at approximately A3 dimensions. Some of the paintings are portrait and a few so far are landscape. I have begun to release new artworks to my email subscribers first. This provides my subscribers with a head start on purchasing my artworks before they are promoted elsewhere. 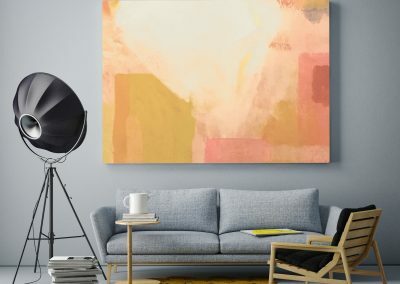 The style of the paintings is expressive and introduces new colours into the palette in contrast to the Modo Series – which was pale and soft colours pitched against a navy and organic paint strokes. I have carried o the navy as the anchor point in the Relaxual paintings. I wanted to continue the exploration of one paint stroke inspiring the next. The result is normally unexpected and often the only thing linking one painting to the next is the colour palette. Over the next days i shall be releasing the range to the general public via this website where artworks can be purchased directly. 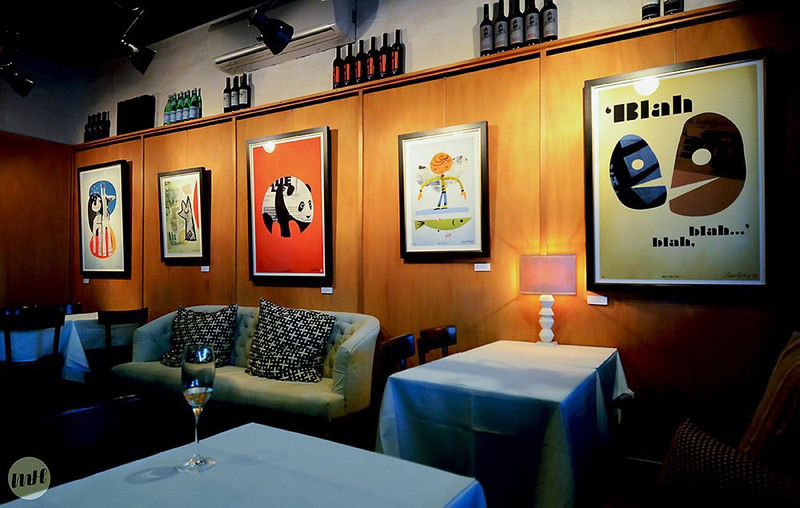 Each of the Relaxual paintings come framed in Tasmanian Oak shadow box style. The depth is 30mm and will sit nicely out from the wall. The artworks are completely original and based on intuitive painting. My goal is to try to understand my own intrinsic style and follow what works using natural design principles such as the Golden Mean. If you have seen my paintings and enjoy my work, then i would love to share it with you more than once. Please do subscribe to my newsletter. I’m building a tribe of people who identify positively with my artworks. Feel free to join and I shall occasionally message you about what I am creating and if I have any events you might enjoy. 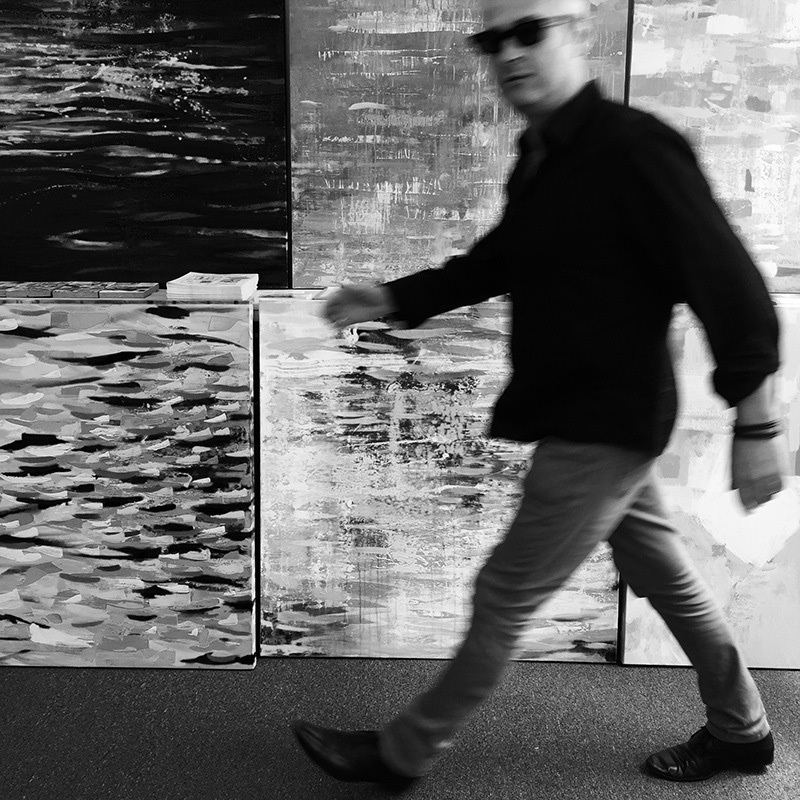 Abstract art in Melbourne is a flourishing community of very talented artists and crafts people. I will often promote other artists works as I believe that everyone has their own tribe of possible followers and investors. One persons artworks may appeal more to an investor than another persons art. I create art not to compete but to express something that is part of who I am. Sounds deep or perhaps shallow. Growing up in Melbourne, I recall my father being on the orgianising committees for community art exhibitions. This gave me an opportunity to see a wide variety of art at an impressionable age. This was before Instagram of course. 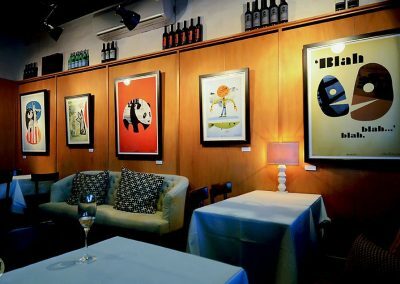 Over the last 10 years my wife and fellow artist have exhibited our originals and art prints all around Australia. We’ve attended hundreds of markets and several trade fairs. We have enjoyed this and continue to do this as a way of keeping in touch with many of the friends we have made along the way. But being local doesn’t mean too much any more really in a connected world. It is not uncommon to see paintings by artists from around the world in different gift shops. 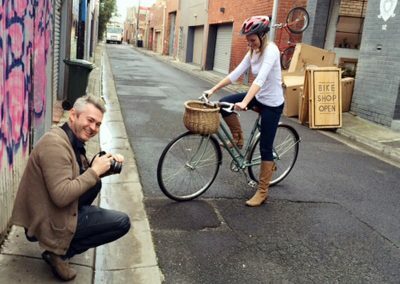 I’m a Melbourne boy through and through and have lived here my entire life. 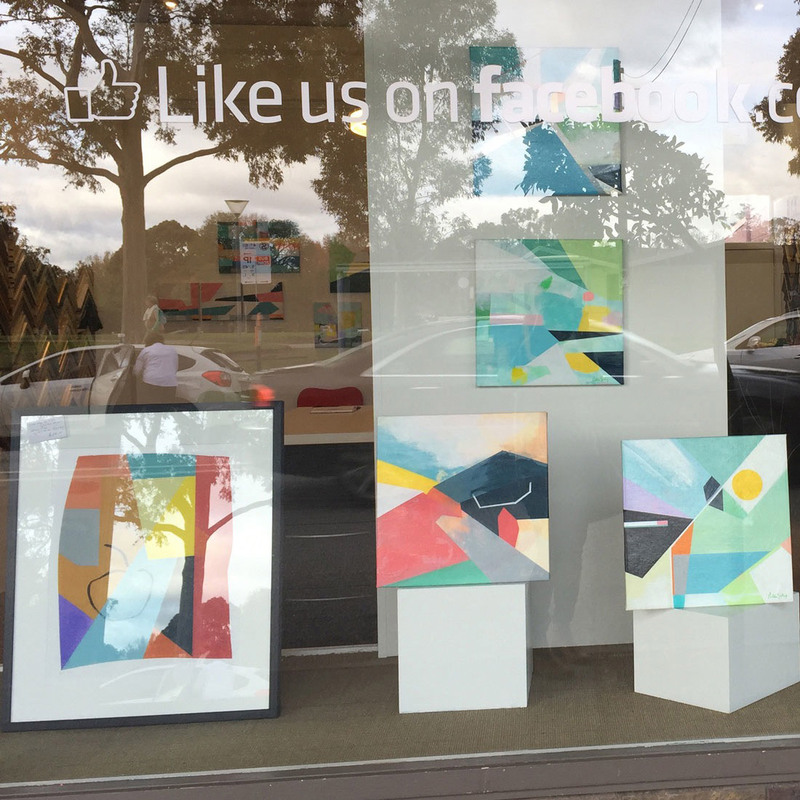 The funny thing about being local is that there are pockets of Melbourne where I am quite well known as my work is featured in many shop windows. Then there are other towns and suburbs where people would not have a clue about me or the art I do. But putting the work out there means that I am connected to this thriving and creative melting pot. I’m proudly Australian and proudly from Melbourne. 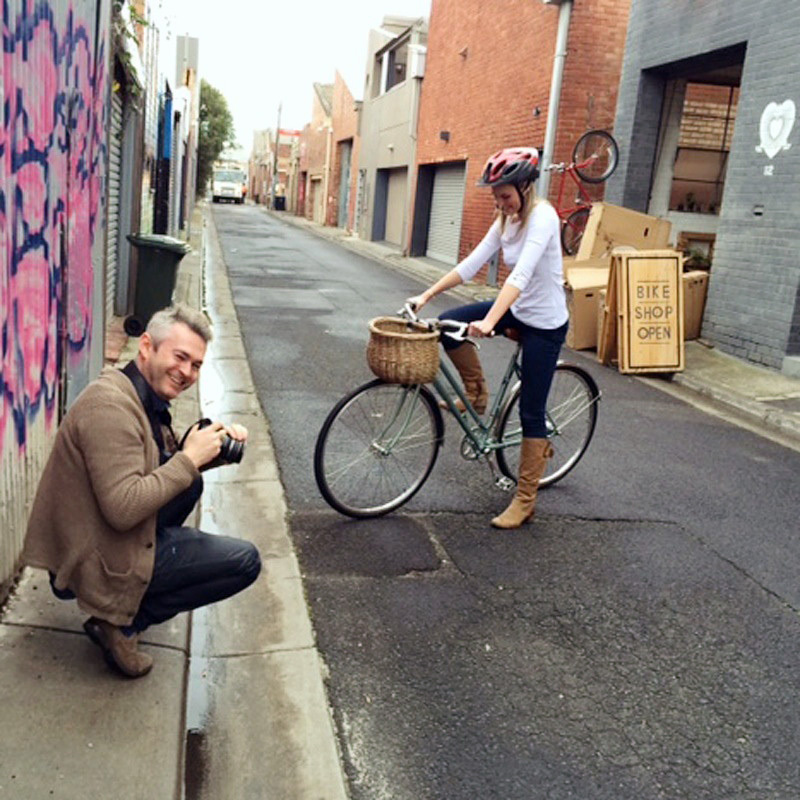 A Melbournian. But that doesn’t mean that I do not want to hear from you where ever you may live on this big tennis ball in the sky. Reach out. I’d love to hear from you to know if anyone is out there. 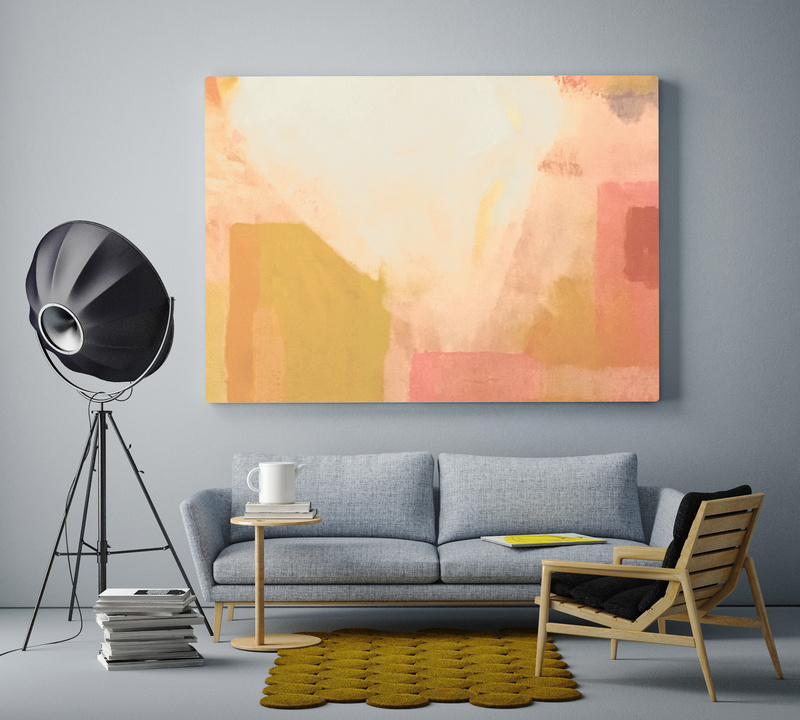 Abstract art can be ordered as either original paintings or alternatively as abstract art prints. 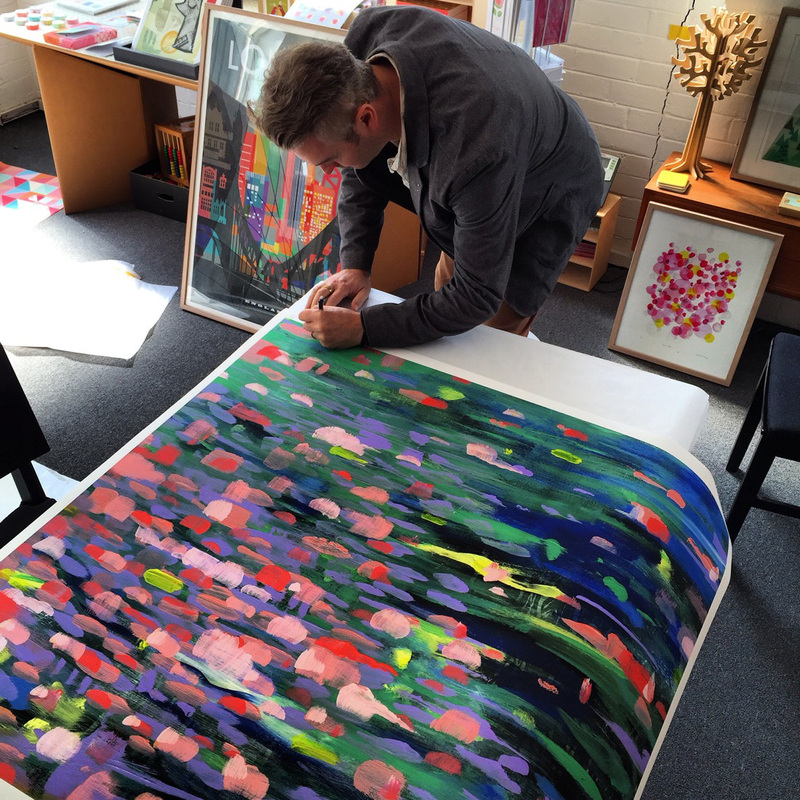 When it comes to organising prints of my original paintings, I will make the prints available in at least two sizes. 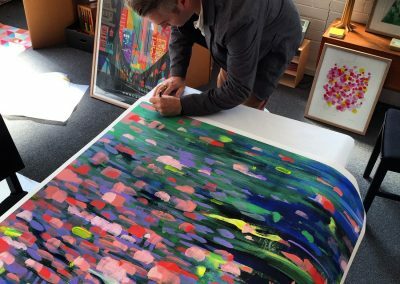 My preference is to show my artworks at larger sizes, so the prints are usually about 1.2 metres wide and the other size is 70cm in width. But sometimes there are custom requests for sizing. The series of abstract or semi abstract artworks I have created which has been popular as fine art prints is the River Series. Rather than selling these art prints on a separate website. My lovely wife and I run a print based business called Printspace®. We are the two artists who’s work is featured on Printspace® online shop. I have a collection of limited edition River Prints listed there which are not seen on this web site. I have personally scanned and colour corrected the paintings at very high resolution. The prints are made onto a thick premium cotton-rag paper using pigment based inks. The detail is so sharp that it is often difficult to tell it from the original painting. My limited edition prints are limited to normally 100 units in the usual two sizes. If a larger print is requested or if a print onto canvas is ever requested – I normally discuss with the customer if they would prefer an original painting. Often painting an original is a great option. If you would like to learn more about the collection of the River Series of paintings, fee free to take a look at Printspace®. This link will take you directly to the page where you can view the current fine art prints available. 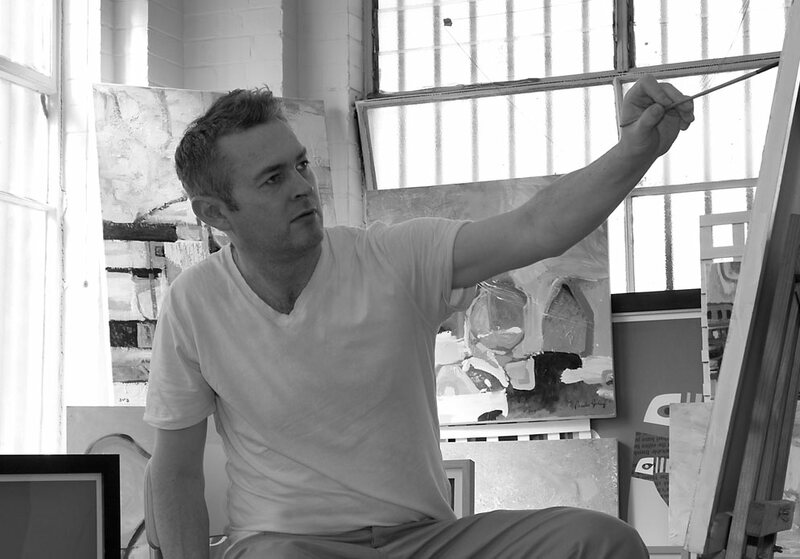 From there you can learn about Nicholas Girling prints and buy an abstract art print. 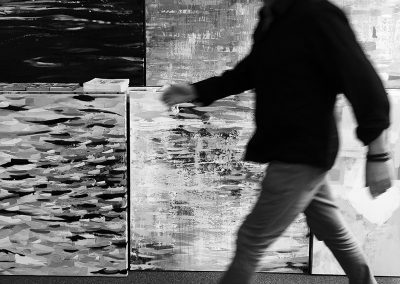 Abstract art is a great thing to buy. A. Because it supports an artist and B. Because it creates a talking point and C. Because it has a positive impression on the individual. Art is many things. Something to invest in, something to decorate, something to inspire, challenge and confront. It cannot be everything to all people and there are many who prefer artworks which reflect something more figurative or reflective. I actually like both abstract art and figurative art. I enjoy figurative art which is more expressive in terms of freedom. Painting in a very photographic way is a great way to present a skill or a talent but to me, even though I can paint with photo realistic detail, I’d prefer to just take the photo or use photoshop to manipulate a photo. So that leaves me with being more expressive with my colours, shapes and subject matter. A photographer can be expressive and a photo realistic painter can also be expressive too. I also have a love of composition, texture, light and shade. The subject matter, the thought and the patience is a form of expression. The act of showing the creative works to the public is also part of this expression. While abstract expressionist artworks of the past were arguably more of a pioneering form of art, in contemporary times it has evolved a little. I say a little because creative people are still expressive and we remain explorers. We are just not the pioneers of the form of art. But this does not mean that we are followers either. 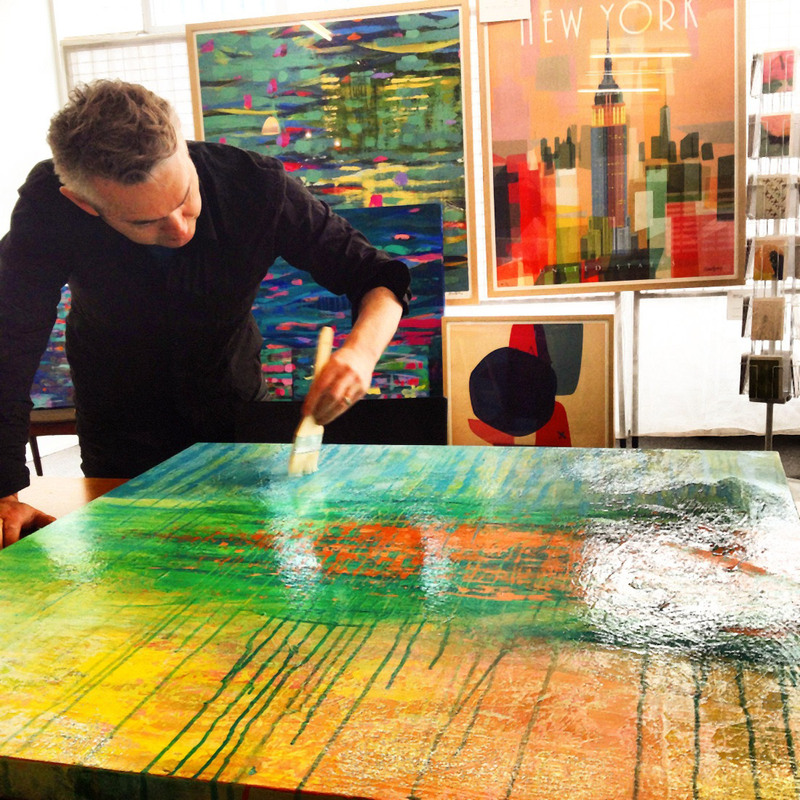 Abstract art to me is painting while meditating – I find it difficult to paint in too much of a premeditative way. Often I have no idea what I am about to paint or what it will look like when I have finished. For me it is very much tapping into an expressive form of communication. But who am I communicating too. Perhaps it is you. It is always me. A self dialogue. It’s freedom and it is often for the artist. It still means that we would like it hanging in your home or office. There are some abstract artists who are expressive but are more premeditated about things. The thing about abstract art is that there are no written rules. This is why it appeals to me as I paint for freedom. 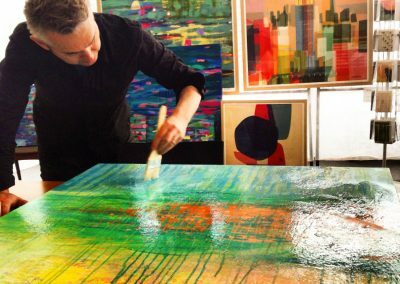 Painting only using on-trend colours is a method many artists use to tap into their tribe of early adopters of art. 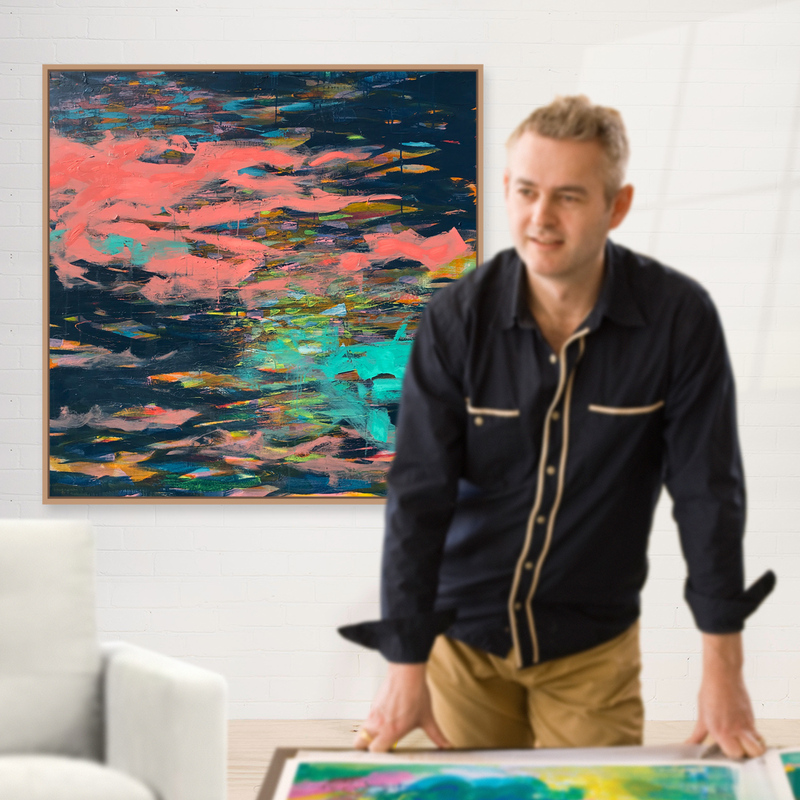 Of course if people are more familiar with and are enjoying on-trend colours, then the majority of buyers will be more likely to purchase art. There are other artist who stick with their own preferred colour palette or tonal palette. Remember – there are no written rules, so I chose to be meditative and my paintings often reflect my mood. I often paint with tone rather than colour. This means I select the tonal range i want to paint in rather than selecting a specific colour. 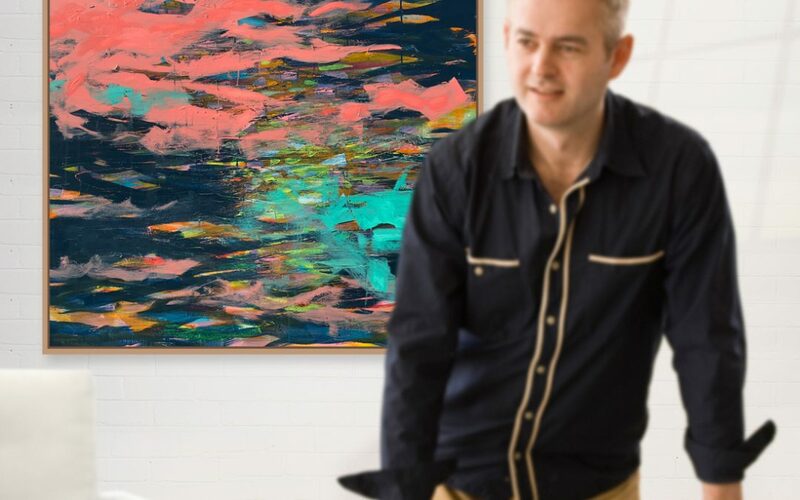 The river series of paintings often have a point where I begin to feel that the artwork is becoming too predictable – so I often will attack the painting with paint in a very vigorous manner at a certain stage during the creation. This often produces some very unexpected results and is arguably a premeditative function. The results I could not create if I painted slowly or in a premeditated way. It is interesting that as an analytical person, deep down I suspect that considering what I am about to do is probably all i do. But the act of being vigorous with paint during the creation is perhaps as close to freeing myself from pre-organised results.